The Grand Prize also includes Pebble Steels, Philips Hue Starter Kits, Leap Motion Controllers. 100 GB of Dropbox space and a Pebble. All expenses paid trip to California (Facebook HQ) to compete against other winning teams from Facebook's worldwide Hackathons at the FB Hackathon Finals. Best use of any Google service. Nexus 7's and Chromecasts for top 2 teams (up to 4 members per team). To compete for the Indiegogo prizes at PennApps, create an Indiegogo campaign for your PennApps project. A panel of Indiegogo staff members will be judging your campaign on creativity, originality, and wow factor. We will take into account how you are using our platform to build a business. Submit your campaign URL at http://bit.ly/1ox8NWx. 1st place - iPad Mini Retina + case. 2nd place - Kindle Fire HDX 8.9 + case. 3rd place - Kindle Paperwhite + charger. Best use of XDK, Galaxy Tab 3 for each member (up to team of 4). Best app built using the Mashery API Network - $200 Amazon Gift Card + "Evolution of Video Game Controllers" Posters for each team member. Best Hardware Hack - $250 in hardware from Octopart. Best use of Rdio API - 2 years of Rdio Unlimited to each member. Show your love for hacking on Valentine's Day weekend at the University of Pennsylvania. 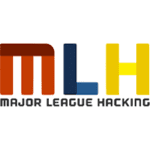 48 hours, $30,000 in prizes, and 1,200 of the best hackers from around the world. After the Friday evening kickoff, all teams are allowed to begin working on their apps. Once your app is complete, we ask that you make a submission to ChallengePost to let everyone (most importantly your judges) know about your hack. You can submit your app, and an accompanying video if you'd like to, using the Submissions tab above (which will appear after you hit the Register button). All submissions must be in by 9:30 AM Sunday morning. If you applied to PennApps, recieved an offer to attend and went on to confirm that you will, you are eligible to attend PennApps. If you attended and hacked at PennApps, then you are eligible to make a submission. For Penn students, you are eligible if you signed up on this form and then hacked at PennApps. Make your product, submit your hack to ChallengePost and attend the product fair to show off what you built. - Make your app (any platform is accepted). - Submit your app to ChallengePost by 10 AM Sunday. - Attend the product fair and show off your hack. - Wait for judgement announcements and final demos.